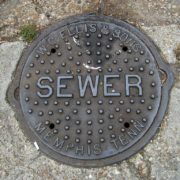 It’s a little well-known fact that sewers withhold microbial information. Thanks to sewer inspection robots, Luigi and Mario, MIT scientists are mining through to obtain the answers that they are looking for. They are sending them to underground Cambridge and Boston, Massachusetts to study how illnesses can spread through populations in cities. This project is a three-year-long journey in urban epidemiology, as well as to learn more about edibles that people opt to intake. Underworlds is a project started by Alm Lab and MIT’s Senseable City Lab that launched Luigi and Mario in July of 2015. Luigi and Mario are advanced sewer inspection robots used to find diseases in waste. Due to their proper structure, these sewer robots were able to inform where they were on their journey, as well as other important details. As they drifted around, vacuuming up samples, every pipe inspection robot spent about an hour or two in the sewer. The scientists are going an extra mile to ensure data from samples is both traceable local to study what diet of neighbourhoods is, as well as to find out other relevant information that could aid them to discover other details. There are a lot of different elements that scientists can detect from samples that they get, including bacterial pathogens, viruses, and biochemical markers from drugs that are either illegal or legal. Scientists are hoping to be able to utilise data to inform policymakers about different public health matters that are affecting or that can affect individuals, including potential disease outbreaks. Compared to how they were once, several illnesses are not common anymore. In those cities that have poor water sanitation, it has been noted that cholera and typhoid, which were pandemics in our world in a 19th and 20th century, can still affect many people. There is a fever still very present in India. Every year about 493 people of 100,000 in India suffer from this type of fever. If you undertake a calculation, this reflects more than 6 million cases in India every year. Besides scientists being able to identify previously mentioned details, they can also determine what area of a city has a drug issue, as well as measuring effects of legislation that goes hand in hand with food. Quite incredible! 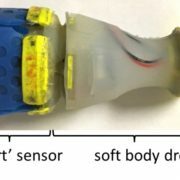 Even though these innovative devices are not being sent to heavy contaminated sewer systems present, with data and findings that they have gathered, MIT’s scientists hope that when sent to local lawmakers, it could serve them as a concrete justification to expand helpful programs to other cities. A sewer inspection robot device is being planned to be sent in 2017 to a place outside of the United States. Funding that is needed for this to occur is coming from stakeholders that will benefit from the outcome, including non-governmental organisations, governmental organisations, and a variety of different companies. They are ready to make it happen, and it seems like individuals are with it, too, as it can help everybody in various aspects.